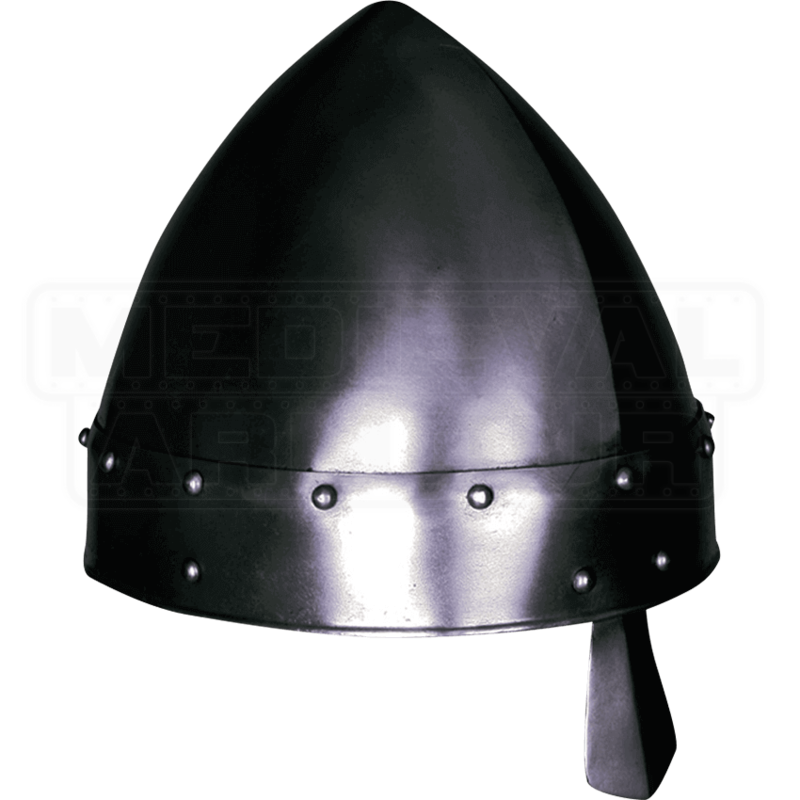 When combined with a chainmail coif and padding the Baldric Darkened Norman Helmet increases your defense during LARP battle. Its classical design developed across Western Europe from the 9th century into the High Middle Ages. 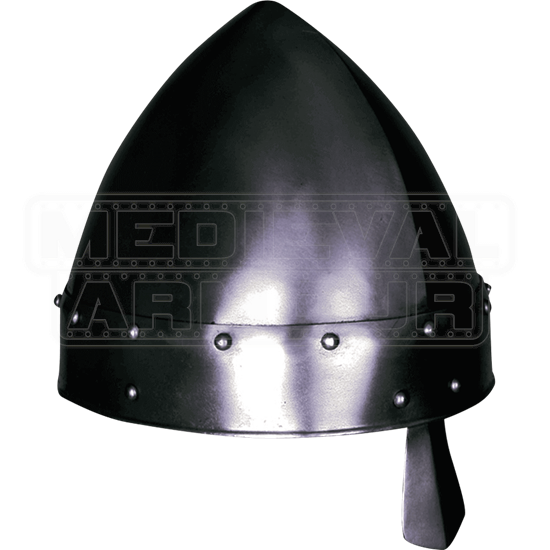 Handcrafted from 18-gauge steel, this nasal helmet consists of a high dome and nose guard. A ridge runs down the center of the dome, while rivets line its lower edge. The darkened finish is due to an electrochemical treatment, which aids in rust resistance.